Iran’s missile program has received worldwide condemnation. But for a cash-strapped state with outdated military hardware, developing an advanced missile capability is an effective and cost-efficient way to guarantee its security in a hostile region. If you have been following Iran in the news, you have probably heard much about its missile program. Alongside the coverage of its disputed nuclear ambitions, there is also much reporting on its ballistic and, more recently, cruise missile testing. These tests have caused international outcry and calls for Iran to stop developing such weapons. But from an Iranian perspective, there are many reasons why the country is devoting its limited resources to developing, expanding and diversifying its inventory of missiles. So, what are these reasons? And why is advancing its missile program at the heart of Iran’s military thinking? First, we need a bit of history in order to answer these questions. Prior to the Islamic revolution in 1979, when Iran was ruled by Shah Mohammad Reza Pahlavi, Iran used to spend billions of dollars on US- and British-made weaponry. During the 1970s, it was one of the biggest recipients of arms from these two powers. The Shah had regional aspirations and was a strong and essential ally of the United States. Surrounded by states loyal to the Soviet Union, such as Iraq and Afghanistan, it helped the West keep the Soviets at bay in the Persian Gulf. It was, therefore, in line with British and US interests to arm the Shah and to arm him well. For his own part, the Shah sought a strong military, and this is exactly what the Iranian armed forces became. The Imperial Iranian Army had British-made land assets such as the MBT Chieftain and FV Scorpion, backed up by US-made Cobra and Huey helicopters in the army’s aviation division. The Iranian air force had world-class fighter planes like Phantoms and Tomcats in great numbers and was also adding F-16s and AWACS aircraft before the revolution happened. Additionally, its military officers had the backing of the Shah and were well respected and well paid. Fast forward 40 years and the state of the Iranian armed forces is very different. It now has an outdated tank force consisting of British-made Chieftains and Soviet-made T-72s. The air force is full of old jets and obsolete missiles and the last time Iran managed to buy anything new was just before the fall of the Soviet Union. There have, however, been some new acquisitions from Russia and China in its radar and surface-to-air missile (SAM) systems. While this is the state of Iran’s armed forces, its neighbours and regional competitors have been arming themselves to the teeth with top-of-the-line equipment and technologies. In 2018, Saudi Arabia spent US $56 billion, Israel approximately US $20 billion and the United Arab Emirates US $14 billion. By comparison, Iran spent approximately US $6.5 billion on its defence budget in the same period. Iran’s regional rivals have top-notch air, ground and naval forces, can afford to pay their militaries extremely well and have the military backing of the United States. The question for Iran’s military planners, is what can it do to deter its regional competitors from launching attacks against it? It clearly needs to buy new hardware and modernise its military inventory. But it’s not that easy and Iran faces two large problems. 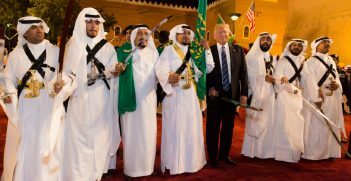 The likes of Saudi Arabia, Israel and the United Arab Emirates have been working on their hard power capabilities for quite some time now and for Iran to be able to catch up, in hardware terms, it would have to spend a lot of money in a very short time. By my estimates, if Iran wants to bring its air force and army aviation up to standard to be able to compete with regional rivals, it would have to spend approximately US $50 billion. And that is without taking into account the money needed to modernise its ground forces and its Navy, pay its personnel a decent salary and provide them with weapons, training and support networks. The total could be approximately US $200 billion over two to three years to give the country the military boost it needs. The defence Budget would then have to stay much higher than the current US $6.5 to maintain such a level of capability. Iran simply does not have that much cash lying around to spend. Not now, not even previously when it was exporting 3 million barrels of oil per day. Even if it had that much money, because of UN, EU and US sanctions, no one would be willing to sell them such amounts of equipment. Previously, sanctions against Iran led to significant delays in it receiving an order from Russia for a, purely defensive, S-300 SAM system. If Iran tried to significantly upgrade its capabilities – for example, by trying to order a fleet of SU-35 Russian fighter jets – the United States and its Middle Eastern allies would do their best to ensure the transaction would not go through. So, what can Iran do? It is faced with very constrained options for its defence. The best option is to focus on an asset that is effective, considerably cheaper than a complete overhaul of its armed forces and credible in that it is hard to defend against. From the Iranian perspective, a missile program checks all of these boxes. 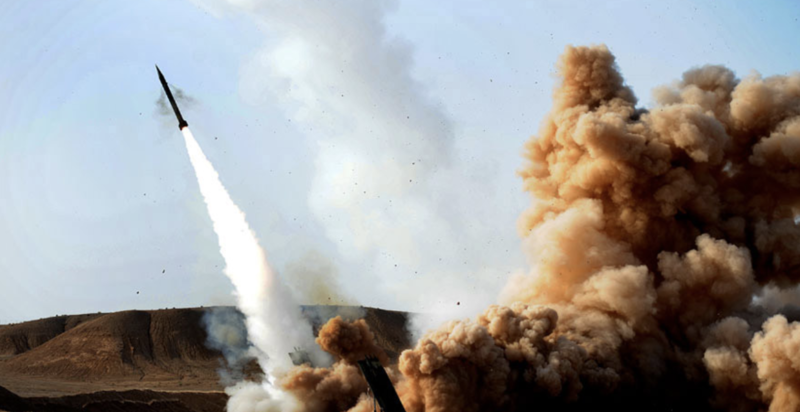 Iranian cities were attacked by Scud missile barrages during its long eight-year war with Iraq. This still evokes bad memories for Iranians and it left a lasting impression upon the minds of the country’s people and its military planners. It was during this war that Iran began its missile program through acquisitions of Scuds from North Korea, Libya and Syria. As with now, it was the need for military hardware to guarantee its security and existence, and the limited choices available to it, that led Iran to acquire missiles for its defence. While some say Iran’s continued work on ballistic missiles is the result of path dependence and less optimal for the country’s security, I argue otherwise and say Iran has had no other choice. 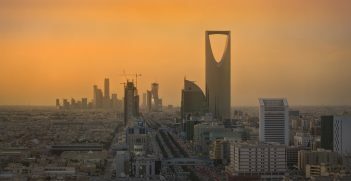 It does not have the money to go on a spending spree – such as Saudi Arabia has done to become the third highest military spender worldwide – and it does not have access to markets where it can buy military equipment. Missiles offer the most effective and cost-efficient means of securing its defence. 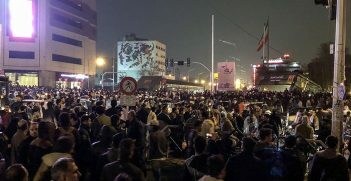 Also, Iran knows its regional adversaries cannot take the psychological and economic shock of a missile attack on their cities or military facilities. Therefore, Iran has every incentive to continue on its current path. As I have argued before, Iran might voluntarily put some caps on its missile capabilities – such as restricting their range to 2,000 km – but it will never stop building them and it shouldn’t be asked to do so. If Iran did, it would be left defenceless. This would provide its regional adversaries with the much-sought opportunity to overpower Iran in the Middle Eastern power game. Such a turn of events would be catastrophic, pushing Iran’s 80 million people and the wider region into more war and chaos. Sirous Amerian is a PhD candidate, tutor and graduate assistant at the Centre for Defence and Security Studies at Massey University in New Zealand. He received his MA in Indian Studies from the University of Tehran. While in Iran, he worked as a policy analyst for the Institute of Iran Eurasian Studies (IRAS). He tweets at @AmerianS.